The 30-year-old forward has had a difficult past season, and is said to be looking for a move to a new club to help him restart his career after the challenging year he endured. 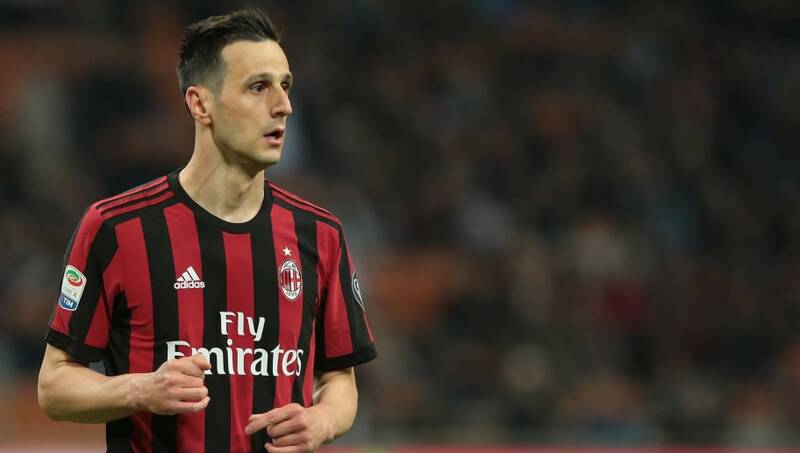 After falling out with Rossoneri coach Rino Gattuso during the season, Kalinic was sent home from Croatia’s World Cup squad in disgrace for refusing to come on as a substitute. Thoughts with Nikola Kalinić who refused to come on for Croatia against Nigeria in the group stage. Was sent home by coach Zlatko Dalić and now has to watch his country play in a World Cup final from his home. Reports suggest Atletico Madrid are poised to be the club that offers Kalinic that fresh start, with boss Diego Simeone seeing him as a perfect alternative for Diego Costa - hoping the added competition will get the best out of both players. Kalinic made 31 league appearances and scored six times during his spell at the San Siro last season. While the player was technically on loan from Fiorentina, the deal contained an obligation to buy - a reported €25m fee - and the Croatian became a permanent Milan player this summer. According to ​Football Italia, the Rojiblancos will push to reach an agreement for the signing of the 30-year-old forward in the coming days. Milan, given the nature of Kalinic's signing, are said to be reluctant to allow him to leave for anything less than €20m. Atletico Madrid are said to be looking to try and negotiate a lower price if possible, but may still be willing to meet Milan's demands if not.